By far, the most popular type of gambling in the world is betting on sports, and chances are that either you or several people you know have bet on some type of event, match or game at some point. It makes following the games much more exciting and engaging, and it puts you in the drivers seat with balanced odds so that you don’t always have to root for the team that’s the favorite. Watching sports is exciting in and of itself, but it’s even more exciting when you have something riding on the result. This is the premise behind sports betting, and it’s one of the main reasons why it’s such a popular form of gambling in the world. In fact, if you look at the overall amount of money in play, it’s the most enjoyed type of betting in history. With the combined popularity of all different types of sports, it’s not difficult to see why that would be the case. There are a variety of different casinos that also have sportsbooks. This promotes an all-in-one solution that keeps you from having to jump from site to site. It’s an important part of the experience since it makes it easy for you to switch back and forth between different types of play. We have reviewed a number of sites that accept bets on sports, and this includes vetting them to make sure they are completely reliable and that they give customers peace of mind with their money before we’d ever consider recommending them. Instead of having to make a trip out to see a bookie or sportsbook window, you can place bets from your computer at home or from your mobile device. This makes it incredibly convenient to place wagers on the results of your favorite types of sports. It also makes it much easier to study which bets are available in an attempt to make a profit since all of the information is in front of you in a way that allows you to take your time to make decisions. They have to have a license in a reputable jurisdiction. The site needs a history of taking care of their players with both strong customer service and reliable withdrawals. It must have a sufficient number of banking options so that players will be able to get their money in and out of their online accounts. Customer service that’s available around the clock, 24/7/365 is a must as well. This is along the same lines as how we evaluate casino sites, so if an online establishment has a solid casino in this way, you can rest assured that they have a solid sportsbook as well. Strictly speaking, there are occasional exceptions to that rule, so we make sure to look in-depth at these places to make sure nothing slips through the cracks. While sports betting is incredibly popular, it’s also an umbrella term for wagering on several different types of games and events. There are similarities between betting on various types of sports, but there are also some major differences that can come up as well, and these are often due to the differences in the nature of the sports themselves. Generally speaking, the more action the game has and the larger the ability to score, the more types of betting options you’ll have. For example, betting on football (soccer) has a certain characteristic to it because the games have low scores as a general rule. This is much different than betting on basketball were it’s not uncommon to see scores of more than 100 points per term in a single game. The former has to deal with ties, and the latter has to deal with point spreads. When most people think of betting on sports, they think of betting on whether a certain team wins or loses. However, there are plenty of other ways to set up wagers, and one of those is a point spread. Instead of placing a bet that Team A beats Team B, you could wager on whether Team A wins by five points or more, which is the same as betting on Team B losing by five points or more. The opposite wager would be betting that Team B loses by four points or fewer, so you can see that there is a lot of opportunity for creative betting with something like this. Point spread bets can vary from site to site, so you’ll need to evaluate them on an individual basis instead of taking a one-size-fits-all approach. These are just a few examples, and the in-play bets that will be available will obviously depend on the sport in question. However, just from these few examples, you can see the potential for a lot of excitement and engagement with the game itself through these options. This is why in-play betting is considered the fastest-growing segment of the sports betting world and why it’s gaining tons of popularity from all different types of punters. Even though they aren’t considered sports by most people, events like elections can still be bet on by many online sportsbooks. This is a very exciting type of thing to get in on, especially since people take politics more seriously than at any point in the past several decades. The process is exactly the same as betting on the outcome of a sporting event. You decide which side you want to bet on, place your wager and watch as the action unfolds. With media coverage of politics being at an all-time high, you’ll feel like you’re watching a long-form version of a sport as things go back and forth until there is an eventual winner. You’ll find that there are two different models for how sites will allow you to bet online. One is called a betting market, and it’s the standard sports betting model where the house sets different lines, and you decide if you want to accept those bets or not. The other is called a betting exchange, and this allows you to propose or accept bets from other players in an online marketplace. The house takes a small percentage of the pot that comes from these wagers, but it puts you in a position to customize your bets and find options that you might have missed otherwise. Betting at online sportsbooks is extremely popular, and it’s not going away anytime soon. They’re constantly coming up with new ways to bet, and that includes in-play options and betting exchanges. 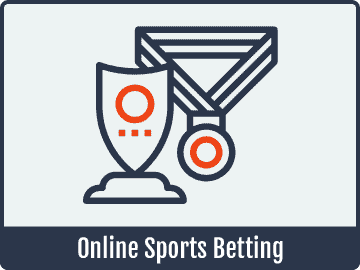 Overall, if there’s a certain type of wager you’d like to place on an event, chances are that you’ll find it or something very close in today’s online sports betting marketplace.